Editor’s Note: This is a guest post from Kellie Schoppe, a good friend of mine from Minnesota. 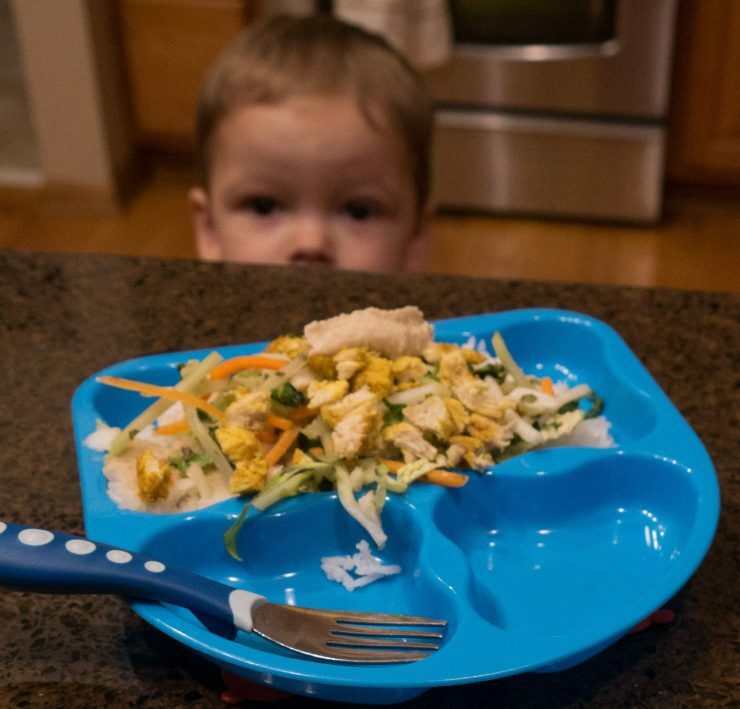 Thanks Kellie for sharing this weeknight friendly recipe with us! For the majority of 2018 I had to maintain a strict gluten-free and dairy-free diet. While the food restrictions were temporary, it sure challenged my cooking and baking skills. I found previewing menus prior to going out to eat to be a chore. In search of adding variety to my restricted meal plan, I discovered a fast-casual Middle Eastern Grill that serves chicken shawarma hummus bowls. It sure was a delightful change in flavors! Soon, I took on the challenge of recreating the chicken shawarma hummus bowl at home. While there are many shawarma inspired recipes online, I found them too time consuming for weeknight meals, mainly due to the assortment of fresh fixings you had to chop and prepare. This prompted me to create my own version of the meal that I was able to make more easily during the week. If you are looking for a weeknight, dietary-restriction-friendly version of chicken, rice, and veggies, please give this a try! Begin by preparing the shawarma seasoning mix. In a medium-sized bowl, combine olive oil, lemon juice, cumin, turmeric, cayenne, allspice, salt, and minced garlic. Mix together, then add the chicken and coat. Refrigerate the coated chicken for about 30 minutes. Next prepare the slaw by mixing the shredded cabbage or shredded broccoli, cider vinegar, basil and lemon juice in another bowl. Set aside and let sit for at least 10 minutes. Cook the chicken per your preferred cooking method (pan-fry, bake, grill, or slow cooker). To assemble, add a bed of rice to your bowl. Top with cooked chicken, slaw, and a few dollops of creamy hummus… and for those of you without food restrictions a soft, warmed pita pocket! To take your hummus bowl to the next level, add diced Persian/Russian style pickles, diced tomatoes, diced cucumbers, tahini, or toum garlic sauce. Enjoy! p.s. Sorry for the lack of photos. 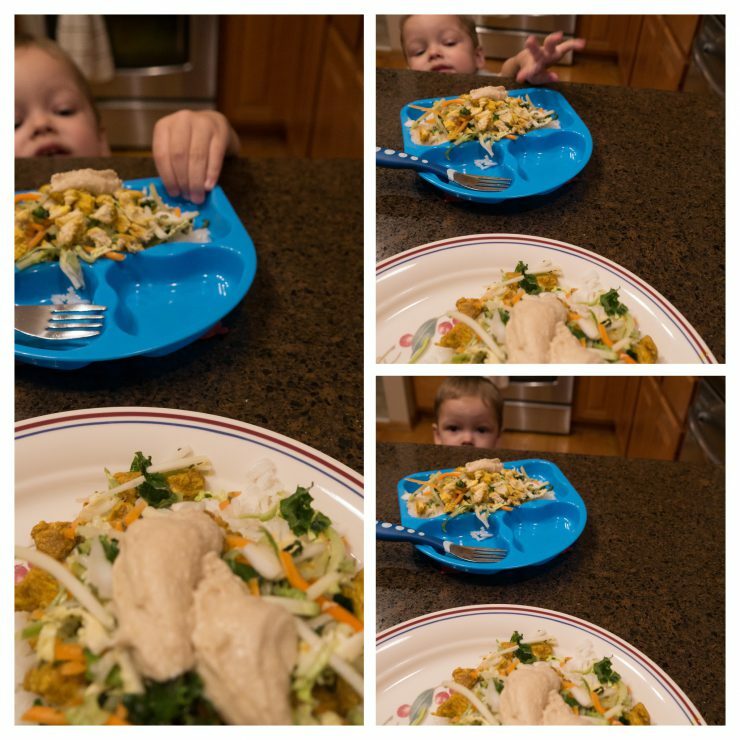 I intended to get some good photos of the final dish but my son was too interested in starting dinner! 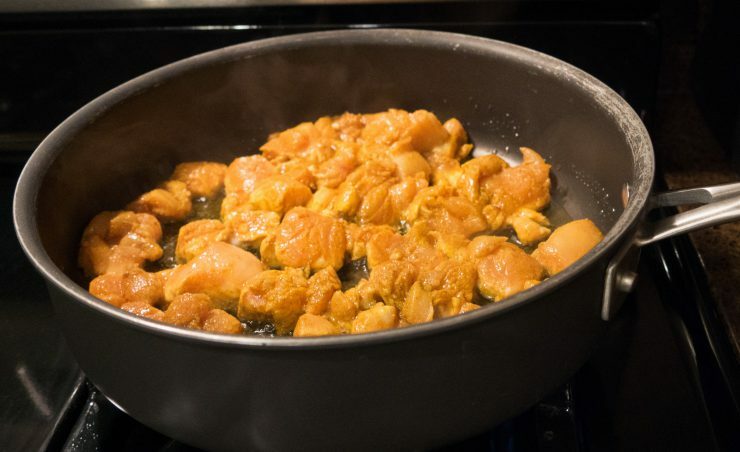 Prepare the Shawarma seasoning mix by combining olive oil, lemon juice, cumin, turmeric, allspice, salt, and minced garlic in medium sized bowl. Add the chicken and coat. Refrigerate for about 30 minutes. Prepare the slaw mix by combining the shredded cabbage, cider vinegar, basil, and lemon juice in another bowl. Let sit for about 10 minutes. While the slaw sits, cook the chicken per your preferred cooking method (pan-fry, bake, grill, or slow cooker). 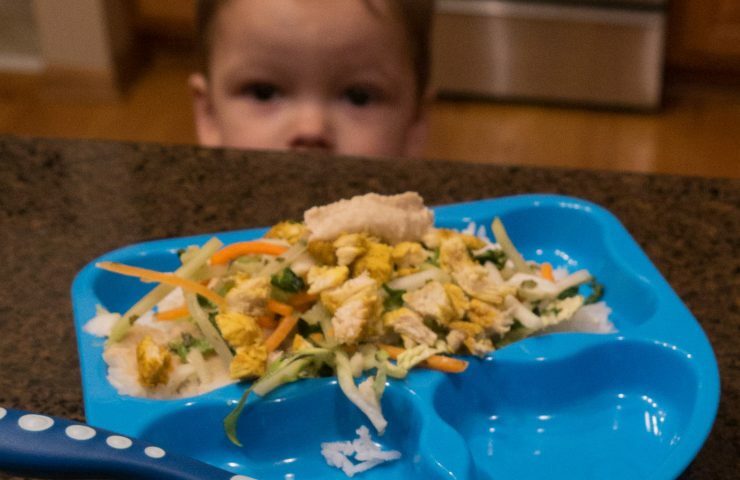 To assemble, add a bed of rice to your bowl. Add a portion of cooked chicken and slaw. Add a dollop of hummus, then top with your desired toppings - diced Persian style pickles, diced tomatoes, diced tomatoes, tahini and/or toum garlic sauce.